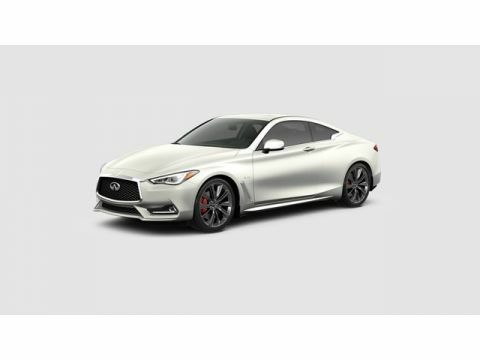 INFINITI Q60 Red Sport 400 - PROASSIST - PROACTIVE - TOP OF THE LINE!! Certified. 2018 Liquid Platinum 3.0L V6 DOHC CARFAX One-Owner. Clean CARFAX. 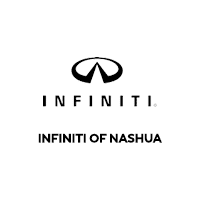 **ONLINE PRICING INCLUDES FINANCING THROUGH IFS AT STANDARD RATES**, *1 OWNER CLEAN CARFAX, **AWD**, NAVIGATION, **BLUETOOTH*** ***HANDS FREE***, ***MOONROOF***, **LEATHER SEATING**, **HEATED SEATS**, **HEATED STEERING WHEEL**, SENSORY, PROACTIVE PACKAGE, PROASSIST PACKAGE, HEAT PACKAGE, 13 Speakers, Adaptive Front Lighting System, Advanced Climate Control System, Air Conditioning, AM/FM radio, Around View Monitor w/Moving Object Detection, Automatic temperature control, Backup Collision Intervention (BCI), Blind Spot Warning, Blind-Spot Intervention (BSI), Carbon Fiber Exterior Appearance Package, Carbon Fiber Fender Vents, Carbon Fiber Mirror Covers, Carbon Fiber Rear Spoiler, Cargo Net, Cargo Package, CD player, Direct Adaptive Steering, Distance Control Assist, Eco Pedal, First Aid Kit, Forward Emergency Braking, Front & Rear Parking Sensors, Front dual zone A/C, Front Pre-Crash Seat Belts, Heated Front Seats, Heated Steering Wheel, High Beam Assist Headlights (HBA), INFINITI InTouch Navigation System, Intelligent Cruise Control w/Full Speed Range, Lane Departure Prevention, Memory seat, Navigation System, Power driver seat, Power steering, Power windows, Predictive Forward Collision Warning (PFCW), Pro Active Package, Pro Assist Package, Radio data system, Radio: AM/FM HD Radio, Rain Sensing Wipers, Rear window defroster, Remote Engine Start System, Sensory Package 3.0t Sport, Trunk Protector.